This camo cutie dress is what your fall dreams are made of! The three quarter sleeves make it perfect for those cooler fall nights, and it's super comfortable. Icing on the cake- it has pockets!! I'm wearing a small and it fits great! This is the softest sweater I've ever had my hands on! It has kind of a cropped fit, but not too short, and is perfect to pair with high waisted jeans (are there any other kind?!). The scalloped detail is my favorite part! I'm wearing a size small! I can't get enough of this dress!! The color is perfect for fall, it's not super think so perfect for Charleston, and the bow detailing on the sleeves is just the cutest! I can't wait to pair with boots when it gets cooler. I'm wearing a size medium! Possibly my favorite item from the whole collection! It's definitely basic, but so perfect and casual for fall. It's super comfortable, lightweight, and I love the color! I have it tied in the front, but you don't have to. I'm wearing a size small. Cannot wait to wear this dress to Gamecock football games! I love the wrap style and the bow detailing on the sleeves is super cute. Will definitely pair with some boots when the weather gets a bit cooler. I'm wearing a size medium. Last but not least, the most comfortable top in the collection! It's super soft, loose fitting, and I love the overlap detailing. I always tend to lean towards more comfortable fall clothing and this top definitely takes the cake! I'm wearing a size small! This is my favorite collection to date, and I can't wait until the weather is cool enough here in Charleston to wear everything!! Have you checked out Cotton Avenue Boutique yet?! 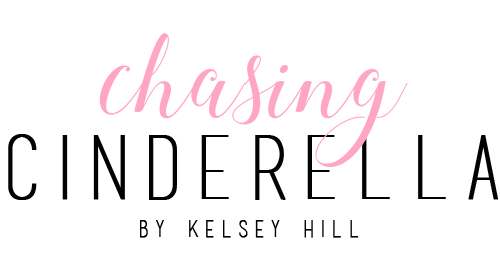 You can take 10% off your order with code KELSEY10! You are too cute! Love these outfits. Ok I'm convinced that mustard dress was MADE for you!! Love it!! 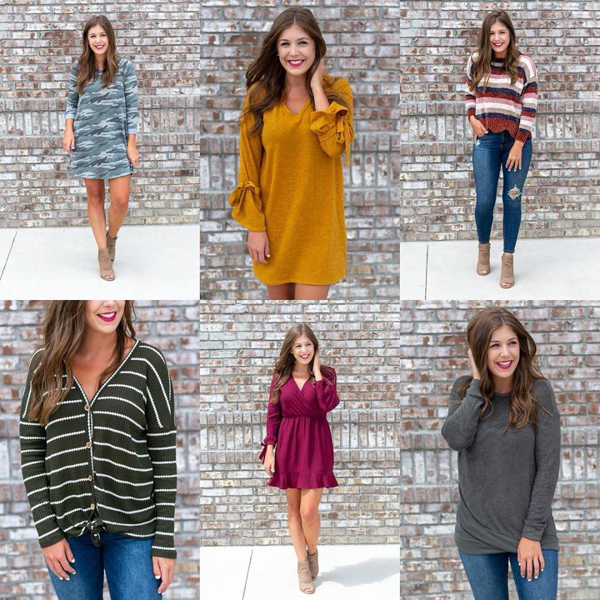 Love all these soft pieces for fall. I need that sweater in my life! I need that camo dress and the striped sweater in my life! SO cute for fall! These are all so adorable! Love the cozy sweater and that camo dress! Ahhh so many pretty things! Thanks for sharing - I think I might get that mustard yellow sweater dress; it's so perfect for fall. 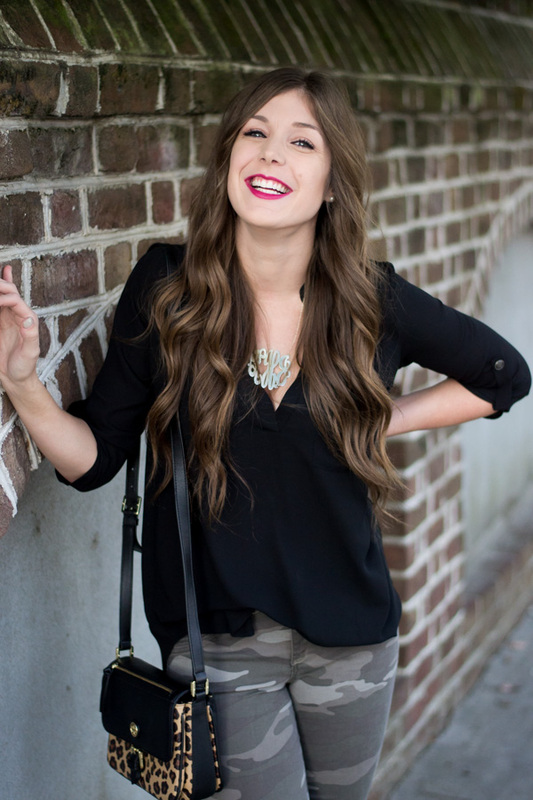 So many cute fall looks here! You look good in everything you wear! Love everything you have on here ... The mustard dress is my fav. though. All these pieces are so pretty, but the maroon wrap dress is my favorite! That green thermal knit top is the cutest! I am obsessed! I am in LOVE with all of these looks! They are so perfect for Fall and look so comfortable too! I need 1 of each in my closet. So cute. I'm SO excited for fall! Loving all of these cute pieces - especially the camo dress! What a great collection! The camo dress is my favorite and looks darling on you! Love every outfit!! My favorite is the camo and striped sweater! !